Chinese President Xi Jinping may be disrupting many of China's old rules in order to solidify his power in advance of the all-important 19th National Congress of the Communist Part of China coming up this October, but the fundamentals of how the Chinese system functions in practice (rather than in theory) remain intact -- and will for the foreseeable future. Imperfect as it is, the Chinese system has underpinned their phenomenal growth (and in some cases has been their biggest obstacle). Here are the eight fundamentals about how the system functions, particularly when it comes to policymaking. The Party Supreme. Each Party Chairman makes his ideological mark, but the Communist Party of China remains the dominant force in politics, economics, law, and social life. And, there may be a "separation of powers" but in reality, all top officials are Party members. Xi Jinping is the head of state and top military commander but his power comes from heading the Party, and policy is formulated and driven by the Party. The Seven Who Matter. At the top of the system are the seven members of the Politburo Standing Committee who set forth policy direction. Its numbers may fluctuate (nine under President Hu Jintao; seven under President Xi) but these all-powerful leaders have been a Team of Rivals throughout history. Traditionally, consensus was needed amongst these men (it's always men) for policy to coalesce. The future size of the standing committee is uncertain. The Party Mirrors the Government. At all levels of government -- from the villages up to the province -- the Party has a mirror organization that guides the work of the government. While the charge of implementing policy falls on the government, the Party itself is really the one that charts its course and ensures its enforcement. In fact, the majority of cases, the Party trumps the government in a dispute. The Legislature Remains a Rubber Stamp. While the legislature has taken on a more robust role in recent years, they act as a rubber stamp for policy. Despite the tradition of having the second most senior person in the Party as the head of the National People's Congress, this serves to keep the legislature in line rather than to strengthen it. There are neither checks nor balances here. The Leading Groups Lead. Extra-governmental groups called "Leading Groups" are responsible for developing policy issue area, such as finance and economic reform, military reform, deepening reform, and Taiwan affairs, among others. The groups are led by Xi's trusted advisors and composed of government and Party officials who work to provide recommendations and handle the nuts and bolts of policy making. 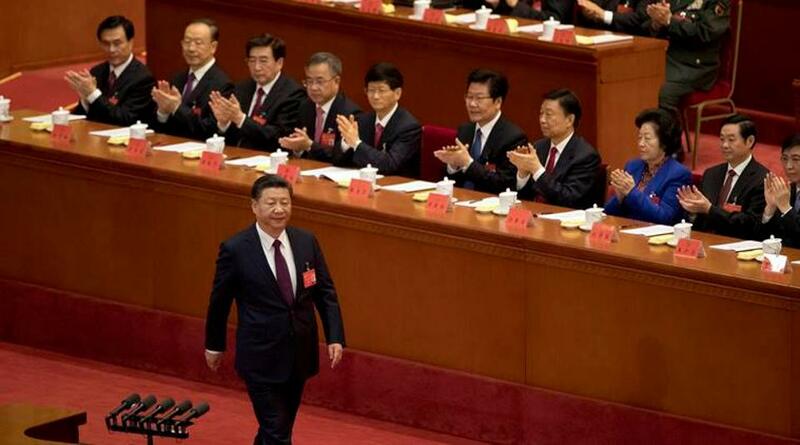 Notably President Xi chairs six Leading Groups (most of which he created) – a departure from his predecessors who took leadership of only a few. Experiment Locally Before Rolling Out Nationally. On most major issues, like financial reform, the launch of carbon markets, or even curbing new car registrations, policy “experiments” are tested at the local level (in a province or municipality) to work out any kinks – or buy time in many cases – before going live nationwide. The Enforcement Challenge. Policies can be set at the top and rolled out all day long, but getting them enforced, particularly at the local levels, is the ultimate challenge. Local officials are often akin to local emperors ruling their local kingdoms. They will flagrantly disregard policy to protect their interests, and because of the way the system is structured, there’s little Mr. Xi can do about it. However, he has certainly made a big push to mitigate this issue by sending out national inspection teams to cite misbehaving officials, and by launching a major drive to root out corruption at all levels, which ensnared more than 100,000 Party officials and counting. The Political Judiciary. In the realm of policy enforcement, the Party trumps the court system as well. The judicial process is susceptible to domestic and international pressure. Legal cases are subject to political and public influence. The rule of law is still subject to the rule of man in China.